This page describes the process by which individuals and groups at Vanderbilt University may request additional features for Brightspace, Vanderbilt’s course management system. This process covers requests to turn on existing Brightspace features currently turned off; requests for new features via Brightspace add-ons or third-party tools; and inquiries about hypothetical features (“Is there a tool that does X?”). This process is also used for new features recommended by the Vanderbilt Center for Teaching, Brightspace’s administrative home, based on informal or formal needs assessment. Faculty, students, and staff interested in new Brightspace features should make their requests to the Center for Teaching, via brightspace@vanderbilt.edu. The CFT will see that requests are shepherded through the approval process, with appropriate documentation. Additionally, the CFT regularly conducts informal needs assessment, drawing on its interactions with faculty across campus. Occasionally, the CFT will conduct more formal needs assessment, through surveys or focus groups with faculty, administrators, or students. Concurrently, CFT staff stay up-to-date on Brightspace features and building blocks to identify tools that would serve teaching and learning needs and objectives at Vanderbilt. Feature requests will receive consideration from several angles. AAPSI will examine the proposed feature or third-party integration in terms of its technical requirements and compatibility with the Vanderbilt Brightspace system. Integration with student record systems, single sign-on, and other Vanderbilt systems will be considered. Some amount of testing will be done at this stage. The CFT will consider the pedagogical utility of the proposed feature. How is the feature likely to support teaching and learning? How many instructors are likely to be interested in the feature? CFT staff will prepare a short brief on the proposed feature, focusing on its pedagogical use, to be shared with others involved in the vetting process and integrated into outreach for the new feature, should it be approved. 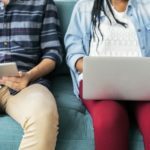 The Provost’s Office will consider whether use of the feature would be consistent with Vanderbilt’s policies, particularly student privacy and copyright policies, and whether the feature will require new policies be put into place. The Provost’s Office will also consider funding options for feature or building blocks not funded by those requesting them. The Course Management System Advisory Committee will provide feedback on the proposed feature, with a focus on its possible use across campus. This leverages the structure of the committee, which includes representatives from all of Vanderbilt’s colleges and schools. No / Always Off. While the CFT will try to accommodate all requests, cost issues or technical incompatibility may occasionally result in a request being denied. Default Off. In this case, the new feature will be available to all Vanderbilt instructors, but not visible to individual instructors unless they turn it on. This recommendation will be made when the feature is worth approving, but not likely to be useful across campus. Default On. In this case, the new feature will be available and visible to all Vanderbilt instructors. This recommendation will be made when the new feature is likely to have broad applicability. Always On. This recommendation is reserved for core Brightspace features, such as the grade center, which must always be available within courses. Following the CFT’s recommendation, the new feature or third-party integration will be installed, configured, and tested. Once testing is successful, it will be made available in the Brightspace production environment, and thus available to the campus. The individuals or units requesting the feature will be expected to assist in the testing stage, as well as to provide feedback on the new tool once they have used it in their teaching. Meanwhile, the CFT will develop online materials to support effective use of the new feature. 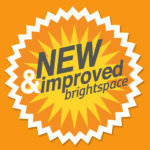 The CFT will also prepare to handle inquiries about the new feature made through Brightspace support mechanisms. 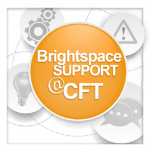 Finally, the CFT will announce the new tool to the campus, as part of its ongoing communication and outreach to faculty regarding Brightspace and its tools and features.